June 22nd in WordPress Themes by Wordpress Jedi . Publishing a campaign to crowdfunding websites is one way to raise funds for your ideas. You will also need to have a website to promote your product and keep your fans up-to-date. 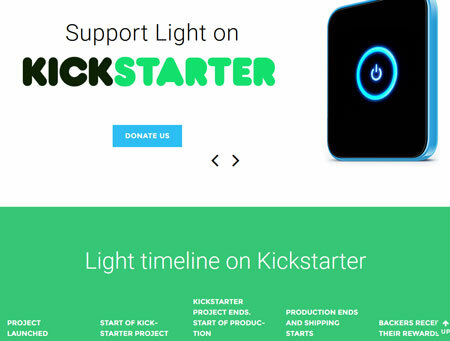 Studio Light for WordPress is a theme that lets you build an attractive website for your Kickstarter campaign. Studio Light supports background videos. It is powered by Cherryframework 4. With MotoPress Image Hotspot, you can display animated pointers with tooltips over images. Studio Light comes integrated with Google Fonts and Google Maps. With MotoPress Content Editor and Slider, you can customize your site easily. Studio Light is coded in HTML5 and CSS3. It is ready to be translated. It is audio and video friendly. This is a commercial theme.